There were always whispers about my roommate at Hillcrest Academy. The wealthiest of the wealthy sent their kids to our boarding school, and Brooke Bennett had been at the top, though I never quite knew why. She was fun and outgoing, but she kept quiet about her family. The only things she showed me were photographs of her brothers. I became fascinated with her second-oldest brother. Kai Bennett. He was the most of them all. Smoldering. Hypnotic. Alluring. Kai had eyes that pulled me in and a face that haunted my dreams. Then I met him. He came to our school with their father, and that’s when I learned what kind of family Brooke came from. 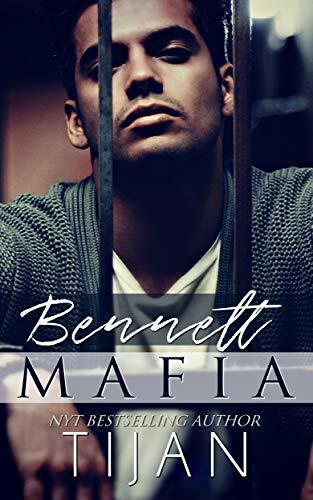 They were mafia, and Brooke’s oldest brother was dead. Her father said accident, but Brooke said murder. Three months later, her father died, and Kai became the head of the Bennett Family. Brooke left Hillcrest for good, and that was the last time I saw her. Fourteen years later, I’m staring at her face on the television. Brooke is missing. Two days later, Kai Bennett kidnaps me. ** This is a 120k complete standalone. ** There is a bonus chapter from another book at the end.